ROME – Silvio Berlusconi is campaigning for Italy’s upcoming general election, and is leading his parties charge against tax burdens in the country. In a run up to the general elections of Italy in February, the former Prime Minister of Italy Silvio Berlusconi announced on February 3rd that if his party is re-elected he will abolish the country’s hotly contested tax on property, and will stop the planned hike to value added tax, and will payout billions in new tax refunds. The ex-Prime Minister said that he would serve as a Economic Minister if his party is re-elected, and that during his term he will embark on a “…“mighty path to lowering fiscal pressure”. As part of the package to lower taxes, all taxes paid for the country’s property tax would be returned to taxpayers, with the money for the move coming from a an agreement between Switzerland and Italy to impose a tax on assets belonging to Italian taxpayers and being held in Swiss bank accounts. The refund is expected to cost the government nearly EUR 4 billion. 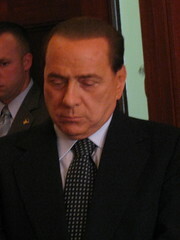 Silvio Berlusconi’s pledges have already been criticised by his competition, widely being labelled as “dangerous electoral propaganda”.